Mondeo st200. Just had all welding and brake pipes replaced to high standard not ur usual rotten mondeo. Cash on collection drive away. Drives rearly nice. Nice bodywork for year. Nice car for a cheep price only going up in value. 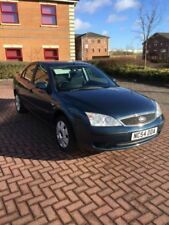 ford mondeo 2.0ltr auto tdci very good condition drives superb. smooth through gear change up and down. clean and tidy interior inside. exterior is also in good condition. good tyres. drives as it should. any inspection welcome. priced to sell. no tyre kickers or time wasters please. Ford mondeo 08 estate car. Viewing can be arrange. Car is currently located at our work office in DY5 Brierley hill. Hard start, (Has this looked into and has been advised it may be a injector sucking air in) haven’t had it tested. For d Mondeo ST220, Performance Blue 3.0L. Full service history. 2 set of keys. 3 previous owners. Mondeo st 200 2001. Very good condition all round. Full black leather recaro interior. Car is very fast and sounds amazing. Arches been resprayed. 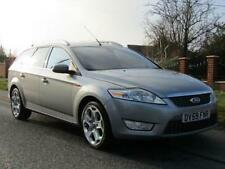 Ford Mondeo Titanium X 2011 "61 reg". For sale ford Mondeo 2007 5 door hatchback zetec model. it is fitted with a 2.0 petrol engine and manual gearbox. the body work is tidy but has a few age related marks and drivers side rear door has had paint touched up but not very well. Ford Mondeo ST 2.2 TDCI 121K Miles Mot Jan 2020 Starts and drives fine Wheels finished in matt grey Does have age related marks Half leather Central locking Hpi clear Px available Nationwide delivery Its a cheap car, cleaner ones are for sale over £2000 Nationwide delivery Warranty available at screen price only 07575756525. 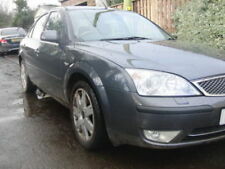 £1900 here i have my mondeo mk4 2.5 turbo petrol titanium x. I always wanted one since ive past my test so i saved for one but struggling to insure because of my age rushed into it this is the only reason for the sale. Genuine Mondeo ST 18" alloy wheels fitted. New brake pads all round in the last year and wheel bearings all round. Minor scratches etc as expected with a car of this age / miles. For sale is a mk2 Ford Mondeo 1.8TD Ghia in Diamond White. Nearside Seat belt anchorage prescribed area strength or continuity significantly reduced center sill (7.1.1 (a) (i)). I've also got loads of spares for it from another 1.8td that i will throw in with it, if wanted. And is in good condition and is all original and has been very well looked after its mot till july. This is very nice car specially for family, people sit inside the car comfortably. Omer Autos - Call us on 441923927641 or click here to find out more. Pick up Widnes. Apart from that very good condition. Fuel pump still in car. 1998 R FORD MONDEO ST 24 V6 PETROL. SOUNDS VERY NICE. SMALL PAINT PEEL ON PILLAR. WHEELS RECENTLY BEEN REFURBISHED. Mondeo Mk 3 diesel 2.0 tdci. This Mondeo drives really well, and achieves about 53mpg on a run at a constant 70 mph. Mot for 11 months. Repairs have been carried out to both rear wheel arches as these were dented due to previous owner not being able to reverse very well in their driveway ! Sadly for sale is my lovely and genuine Ford Mondeo 2.2 Titanium X Sport. a factory glass sunroof. Been the 2.2 it has a lot of power and really is very fast however also very economical and very smooth and quiet, though you can just hear the gorgeous sound of the twin exhausts. Car has failed MOT and is currently SORNed - so would need a flat bed or similar to take away. - Offside front brake pads. Tow bar and full electrics. Cambelt done January 2019. Titanium X. Top spec model. Lovely smooth drive, no knocks or bangs. Full service history, plus loads of receipts. Auto headlights. Heated half leather interior. Sale only due to now being retired and unable to run two cars. This explains why it has sat on my drive for the past three months! It is the last in a line of six consecutive Mondeo estates I have owned over the past 15 years and the best by far.